There is no question the internet and artificial intelligence are rapidly transforming the customer service industry. Automation is making it easier than ever for agents to detect and address problems, and thanks to messaging apps and chatbots, customers can contact you to have their problems solved through multiple channels. One such channel, instant messaging (or web chat), seems to be taking on an increasingly important role in the world of customer service. In fact, some research suggests that people prefer communicating with brands via instant messaging and that this preference leads to greater brand loyalty. However, we need to be wary about using the results of such studies as definitive proof that chatbots and instant messaging are going to automatically deliver better customer experience. In fact, there are instances where these tools could actually have the opposite effect. 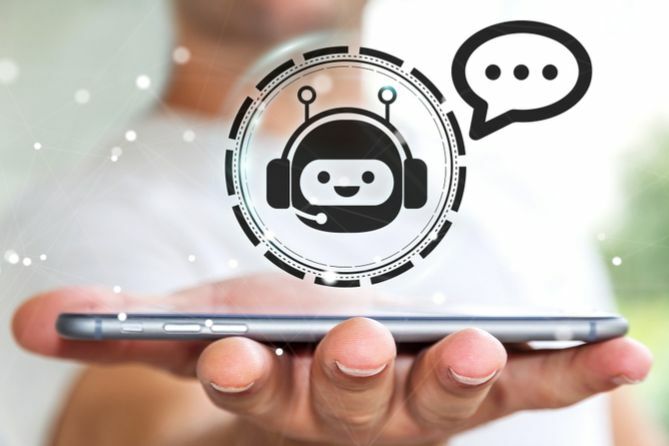 Before going too far, though, let’s take a moment to understand why chatbots and instant messaging tools are becoming so popular in the world of customer service. Most of us can remember a time when calling a customer service line meant being stuck dealing with automated operators. And most of us remember how this used to drive us mad! So why are people going crazy for chatbots and instant messaging? On the customer side of things, they can be tremendously convenient. Instead of having to search through forums or other troubleshooting manuals, or wait on hold for an agent, people can simply type their question into a web chat box and get a response far quicker. On the other side, chatbots help ensure agents are not dealing with unnecessary, simple, transactional requests, which gives them more time to work with customers who have more complicated issues. In short, it appears chatbots and instant messaging platforms help save time (and money) on both sides of the customer service operation. Because of this, we should all rush to implement chatbots and instant messaging as soon as we can, no? Not so fast! It turns out things are a bit more complicated. Find out more about how self-service channels can improve customer satisfaction. Before making any radical changes to your customer service operation, it’s important to first spend some time considering the journey your customers take when they need to interact with you. For some people, this journey begins on your website. If they cannot find the answer they seek, they will contact you directly, either over the phone or via a web chat. However, in some instances, the implementation of web chats, or perhaps better put, the improper use of web chats, has actually had the reverse effect. People see that they can simply contact you via a web chat to answer their questions, and this reduces their incentive to try and find the answer on their own. As a result, call and message volume at your customer service centre can go up, and this increased workload can easily result in reduced customer experience. In the past, the solution to this might have been to immediately scale up and add more customer service agents. This is probably the most expensive option and it’s not guaranteed to solve it either! In this scenario, the challenge of your customer service operation is not a lack of agents or available channels for your customers to use when they need to contact you. The challenge is to improve your customer experience. To do that, you should be spending time “fixing” your website so that it has all the information people need. A knowledge tool, such as an FAQ program, is one way to do this. Customer service agents interact with customers all day, every day. Use this valuable information to identify the most common problems customers are experiencing, and then address these concerns with your knowledge tool. Your agents will then be responsible for making sure these FAQs are updated, a task they likely won’t shy away from, largely because it should help make their jobs easier. However, you can also automate part of this process so that your knowledge tool updates automatically according to the most common issues people are facing. If you really want to use chatbots or instant messaging tools, then it’s probably best to offer them after you know customers have had the chance to search your knowledge tool. This way you can ensure that customers who contact you have indeed spent time searching for the answer on their own. Or, in other words, you ensure that everyone who contacts you really needs to do so. But even in this scenario, you should be wary of depending too much on chatbots. After all, if your chatbot and knowledge tool are both relying on AI, then it’s quite likely a chatbot will be unable to provide a solution beyond what is available in your knowledge tool. Should this happen, you can expect your customer experience to suffer because people will be waiting to talk to chatbots only to be told the same thing they just read on your website. Because of this, you could easily make the argument that a well-designed and frequently updated knowledge tool combined with a talented and competent customer service team eliminates the need for chatbots altogether. Yet this does not mean that these automated solutions have no place. The problem we are dealing with at this point in time is that people seem to prefer using chatbots and instant messaging platforms when contacting a company. However, these channels pose a risk to the customer experience. As customer service professionals, we need to identify ways to combine the convenience of chatbots and instant messaging with something a bit more comprehensive. A good way to do this is to implement virtual agents. This combines the FAQ/knowledge base tool with a chatbot to provide a natural language interface to the knowledge base, something that will help people solve their problems without forcing them to comb through all of your website’s support content. However, if you want to go one step further, consider including the ability to ‘escalate’ from the virtual agent to a live agent. But if you do this, ensure the conversation between the customer and the virtual agent integrates with the live agent, as this will prevent customers from having to repeat themselves. Overall, chatbots and instant messaging apps certainly have a place in the world of customer service. They offer a unique combination of benefits to both companies and customers. But for them to be successful, it’s important to take the customer journey into account. Inserting chatbots in the right part of this journey can add great value for both you and the customer but putting them in the wrong place can increase frustration and diminish your ability to deliver world-class customer experience. In this sense, it’s important to take an opti instead of an omnichannel approach. This means you need to focus on offering the optimum (and correct) channels instead of throwing every possible channel at a customer at each point of their journey. The Contact Centre remains at the centre of the customer journey, but it is no longer just a physical location with agents on phones. Instead, it represents an amalgam of technologies, processes, people and skills that can make or break a brand’s reputation. 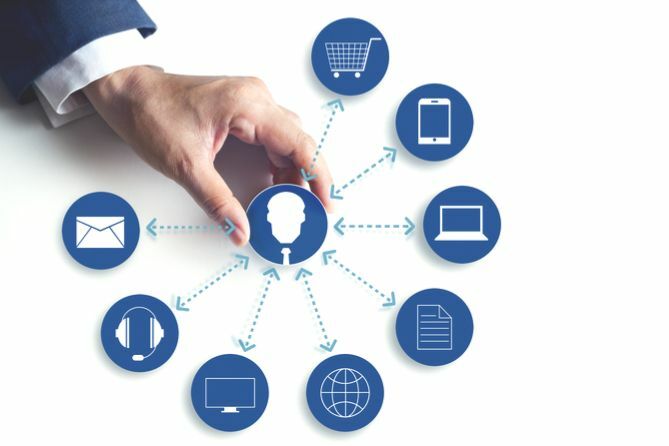 If you have a complete, up to date customer journey map, you can align your Contact Centre environment with the moments of truth or customer pain points to better serve your customers and improve customer satisfaction. To learn more, download our free ebook where we show you how to map your customer journey and the mistakes to avoid.